This mountain is most easily climbed from the lake Pillsbury area. From the Bay Area, head north on Hwy. 101 to the city of Ukiah. Continue north on Hwy. 101 to Calpella and exit onto Hwy. 20 going east (exit 555). After approximately 5 miles, leave Hwy. 20 and go more north following signs for Potter Valley (Hwy. 249). This road will take you across a crest and to the neigborhood of Cafe Horn Dam, make a right here and enter forest road M8 that soon becomes a good dirt road. There should be signs for Lake Pillsbury. Continue to the orth side of lake Pillsbury where the road crosses a runway! (Watch for airplanes, there is a stop sign on the road!) Measure from this point. Continue along the main road, there is at least one sign saying Hull Mountain. The road heads uphill and has a few rough spots. I would recommend a 4WD for this drive. After 11.7 miles you will arrive at the short side road that serves Hull Mountain. This is location N39:31.399, W122:56.456, elevation about 1980 meter. One may drive all the way to this summit, however, this is a nice place to park and you will have a short hike with about 100 vertical meter to gain from this point. Hike up the 4WD road to the summit. I had driven across from Snow Mountain, a considerable distance of forest road driving. I had not seen any other vehicle for many hours. 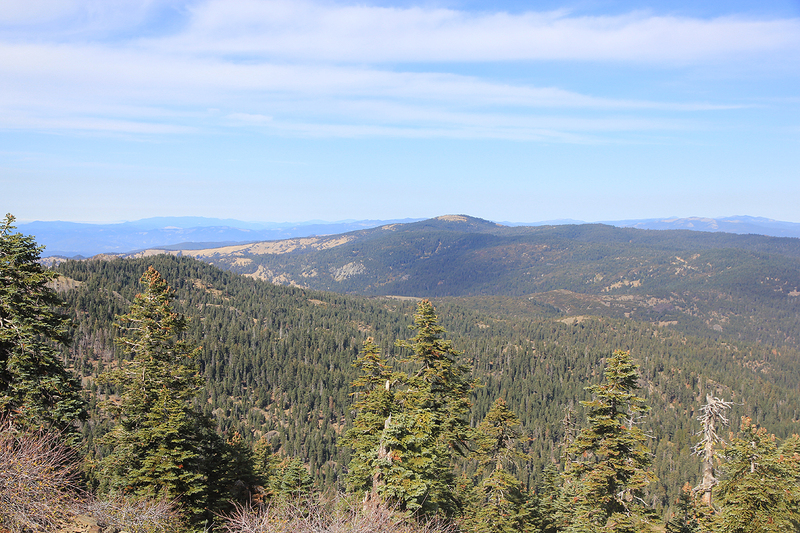 I arrived at the trailhead (road fork) at 1320 and walked up to the summit, arriving there at 1330. This is a nice summit with a good view back down to lake Pillsbury. 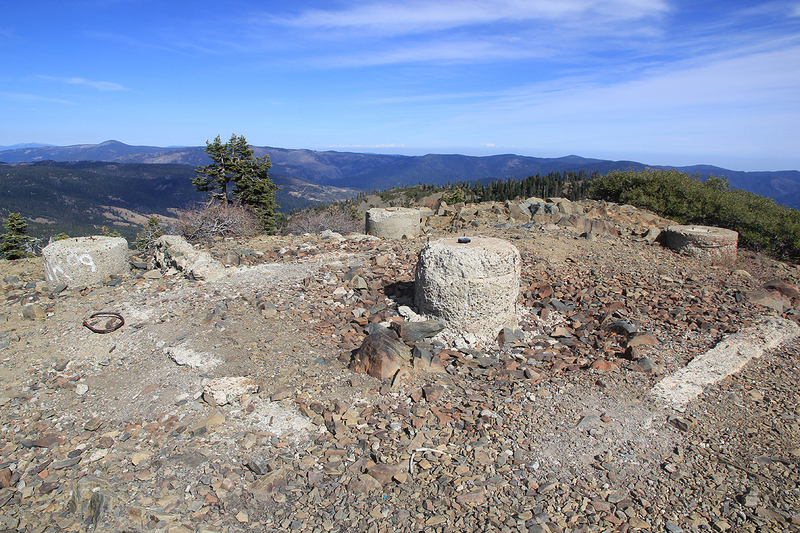 The summit has an old staircase and the remains of some structure, perhaps an old fire lookout that has since been removed? My next and last objective on this trip was Sanhedrin Mountain located to the west from Hull Mountain. 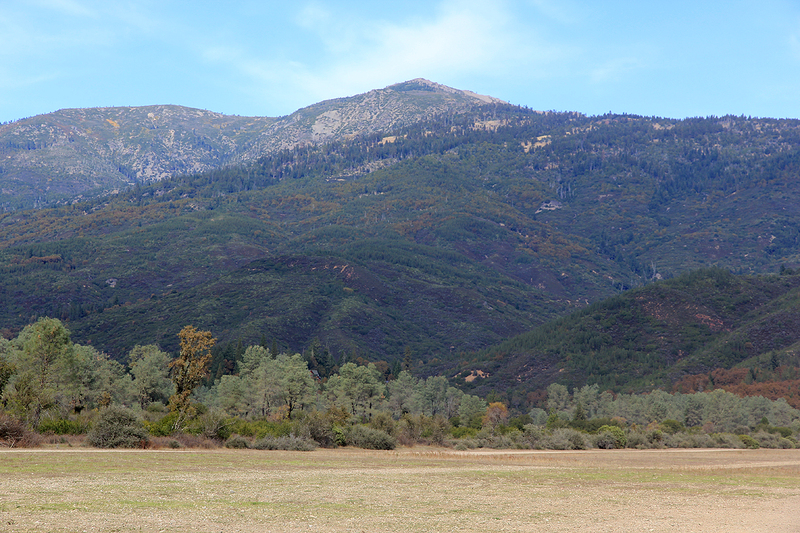 Hull Mountain, as seen from the airfield near lake Pillsbury. 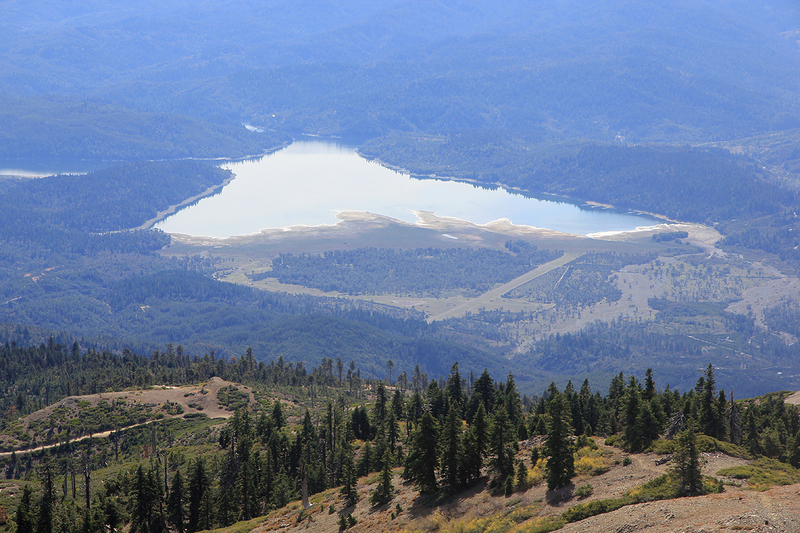 Lake Pillsbury, as seen from the summit of Hull Mountain.